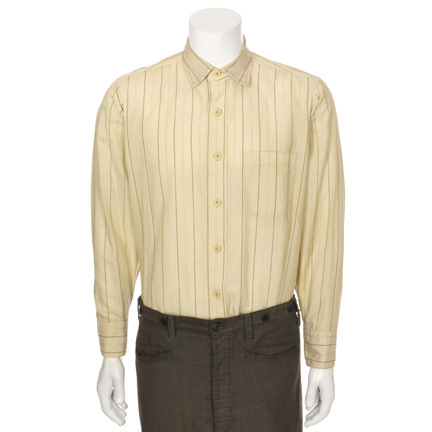 This western costume was worn by the character “Tom Horn” portrayed by legendary actor Steve McQueen in the motion picture “Tom Horn”. 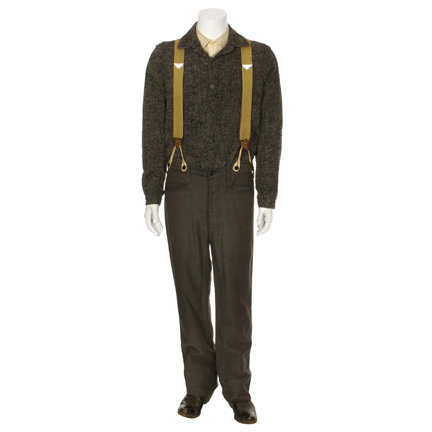 The custom made outfit consists of a beige cotton button up shirt with vertical striping, grey and black peppered woven raw silk shirt with a semi-open front, vintage suspenders, dark gray pants, and a pair of custom made mid-calf black cowboy boots with white and gold stitching. 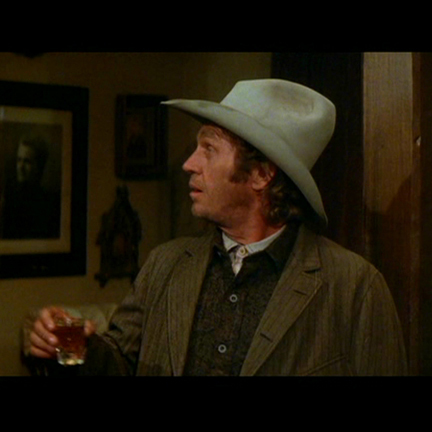 Tom Horn wore this signature costume throughout the film, and also appeared in several promotional images and publicity stills for the production. 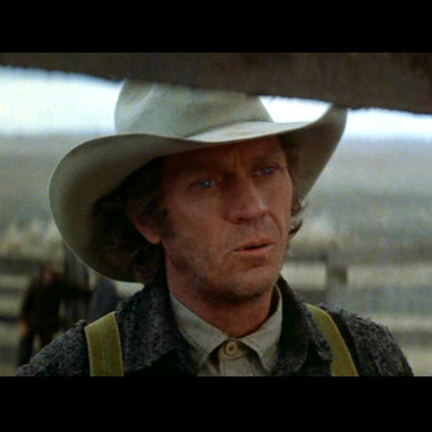 Each shirt has the original costume company labels sewn inside with “TOM HORN” and the name “S. Mc Queen” (sic) typed in slightly faded ink. 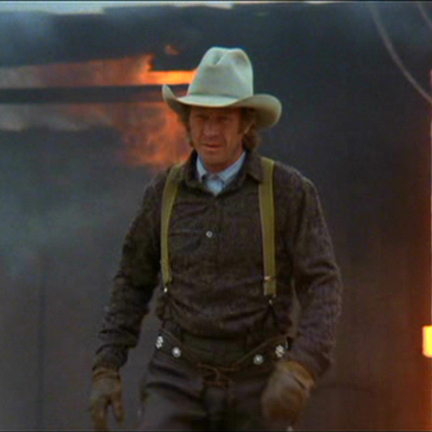 The pair of boots included with this costume was one of only two pair custom made for Mr. McQueen’s use on the production, and the only pair worn on screen. 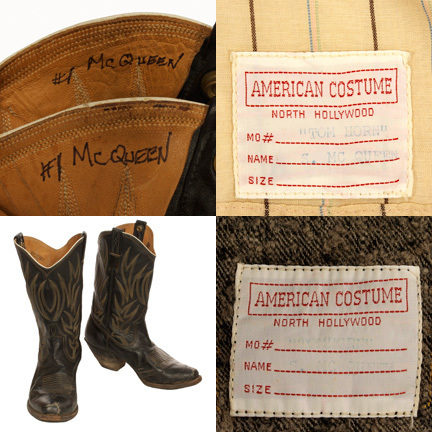 The interior of each boot has “#1 McQueen” handwritten in black ink and the costume house stamp “ACC”. 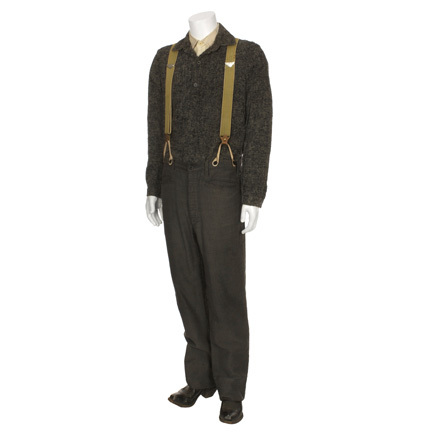 The dark brown leather tabs, and matching leather strap joints on the suspenders have been replaced due to dry rot from age and wear on subsequent productions. 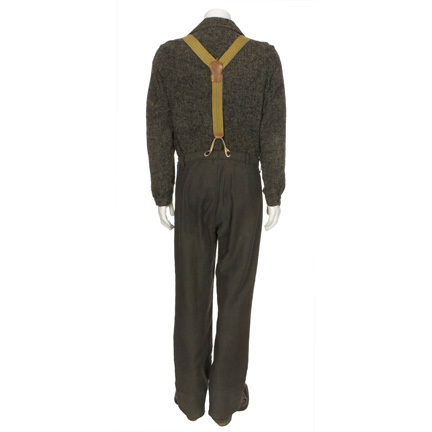 These garments were custom tailored specifically for Mr. McQueen by the film’s costumer designer Luster Bayless, who personally oversaw their use on the production. 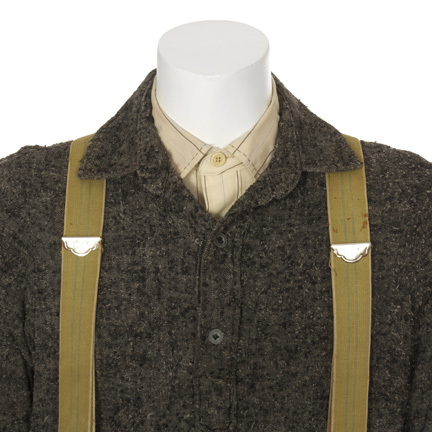 The costume is in vintage hand distressed condition and is accompanied by a letter of authenticity from Luster Bayless.